Rural & Small Town Mission provides encouragement, training and support for Lutheran Church—Missouri Synod congregations of all sizes. Sole parishes — RSTM supports pastors, professional and lay leaders in sole parishes from rural and small-town settings by providing ongoing leadership training and connecting them with available resources. Dual and multi-point parishes — RTSM is especially sensitive to the dynamics of dual and multi-point parishes, and the ministry examines various partnership models for multiple congregations working together. Large rural and small-town parishes — Large congregations in rural and small-town settings may face issues similar to small rural parishes on one hand and large suburban congregations on the other. Contact Amy Gerdts at 888-463-5127 or at rstm@lcms.org if you have questions about specific resources. Most rural counties across the country have unchurched populations of more than 50 percent, and congregational leaders often look for resources to help members bear witness Christ in their daily lives. LCMS entities and Recognized Service Organizations train and equip people for witness. Every One His Witness: workshop for personal evangelism — Participants learn the LASSIE approach from relational, contextual witnessing based on six key elements: Listen-Ask-Seek-Share-Invite-Encourage. The workshop is oriented toward individual believers who wish to be more effective witnesses of Jesus in their everyday lives. 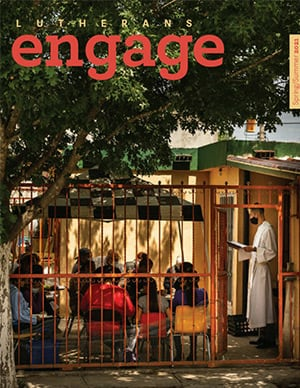 Every One His Witness: Lutheran Evangelism program — Participants unlock online contextual training modules like witnessing to members of different world religions or cults; witnessing to people who are unchurched or dechurched; witnessing to those experiencing difficult life events; and witnessing while offering works of mercy. This program is under development. Connect To Disciple workshop for evangelistic outreach — This workshop is oriented toward leaders who provide their congregations with instruction and resources for developing an effective outreach strategy. re:Vitality — This program, which is under development, will address the three fundamental premises of revitalization by providing congregations with resources to improve their abilities to invite, welcome and receive people from outside the congregation. A Network of Care: Telecare — The Telecare program involves teams or individuals using a telephone to contact people and extend Christ’s love. Lay people are trained to engage in caring conversation with others to help meet spiritual and physical needs, and members are encouraged to be fervent in praying for one another. Ongoing Ambassadors For Christ — OAFC, a Recognized Service Organization of the LCMS, serves congregations by training youth and adults to share their faith in Jesus Christ. Mission U — The Lutheran Hour Ministries’ witnessing-training program provides lay people with the tools and training needed to confidently accept their mission of sharing Jesus Christ with unique people in diverse settings. Biblical stewardship is vital to properly manage time, money and priorities. Resources are available to help congregations and members implement a life of stewardship. A-Z Stewardship Resources — Documents are arranged into four sections to help leaders find content applicable to their unique settings. Stewardship Bulletin Sentences and Newsletter Articles — Information is available for congregations to feature in church publications. Bulletin sentences are based on the one-year and three-year lectionary. 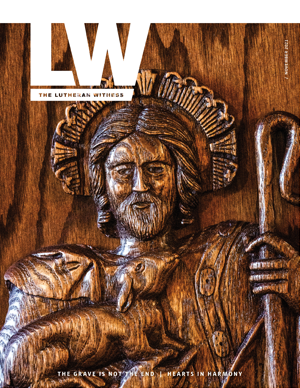 Consecrated Stewards — The Lutheran Church Extension Fund equips pastors and lay leaders with resources for a congregational stewardship commitment process. Christian education is a significant challenge for many congregations in rural and small-town settings, and it is crucial to equip teachers and parents to teach children the Christian faith. LCMS School Ministry — The Synod assists, equips and uplifts leaders to equip children as disciples of Jesus Christ. Christ-centered learning opportunities are available from early childhood centers to seminary education. Rural and small-town congregations are often looking for opportunities to engage their communities, and the LCMS works with independent Recognized Service Organizations to partner in these endeavors. Recognized Service Organizations — RSOs ensure their programs are in harmony with LCMS doctrine and practice, and they help with mission outreach, education and social ministry. RSO Directory — Download a directory of Recognized Service Organizations operating in rural and small-town areas. LCMS Document Library — Search for articles, bulletin inserts and other documents pertaining to Rural & Small Town Mission. Concordia Publishing House — CPH offers books and other resources to educate and encourage. youthESource.com — The website provides Jesus-centered resources for those working with youth in the Lutheran congregation and beyond. LCMS Young Adult Ministry — Resources are available for young adults and those who care for them. LCMS Youth Gathering – Held every three years, the LCMS Youth Gathering provides thousands of youth and adults the opportunity to come together as a community of God’s people. Octane Ministry — The Michigan-based Recognized Service Organization links congregations in small towns, rural and other non-urban settings through youth leadership and inter-congregational events. Para el Camino (For the Journey) — The Lutheran Hour offers a free 30-minute weekly radio program in Spanish for radio stations or individuals. Ayer, Hoy y Siempre — Lutheran Hour Ministries provides a free 15-minute weekly radio drama, which is based on a life situation and resolved in a Christian manner. It is available for radio stations and individuals. Daily Devotions (Monday-Friday) — Lutheran Hour Ministries provides free devotions for churches to download, print and distribute in their communities. Bible Studies and Books — Lutheran Hour Ministries offers printed and DVD Bible studies, children's book and other written resources. The online resources above are featured in Spanish; please contact Lutheran Hour Ministries for assistance.